All the fitness fanatics know that there are some good brands that have been selling the best fitness watches for women, even if you are buying for the first time, you are sure to find oodles of trackers claim to be the best fitness tracker for women. The best waterproof watches are quite popular among women who easily want to reach their goal. Some renowned brands launch new and upgraded fitness trackers and smartwatches that do not go unnoticed. Why do I need a fitness tracker? Fitbit Ionic is another best Fitbit smartwatch that has been popular among the masses since its launch. 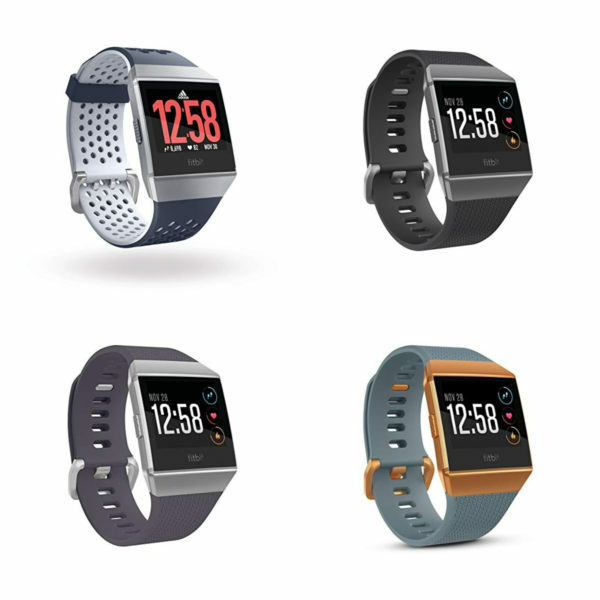 Fitness enthusiasts prefer Fitbit Ionic as it one of the best waterproof Fitbit smartwatches and Amazon page is the proof as it received an Amazon’ Choice tag. The heart rate tracking quality and accuracy of the Ionic is superb. It tracks the continuous heart rate all thanks to the PurePulse technology. All the activities you do throughout the day to stay fit is also recorded by Fitbit Ionic such calories burned, floors climbed, distance, steps, and active minutes. The Ionic is swim-proof and waterproof up to 50 meters, so apart from other activities, it also tracks the swimming activity. You will never experience any malfunctioning after taking dips in the pool as Ionic is designed for all the swimming lovers. It also features a reminder to move mode. As its name suggests, it is used as a reminder and the purpose of the reminder to move mode is to remind you to 250 steps every hour. This feature makes sure you reach your daily goal. Plus, you have the liberty to adjust this mode according to your schedule and turn it off if you do not want to receive the reminder. Moreover, Ionic has a battery life of 5 days. The Garmin Vivoactive 3 is definitely one of the best fitness watches for women that have some wow features that make it stand out in the market. It is not only a fitness tracker but also a smartwatch that is ideal for all the women who want to have the best waterproof smartwatch with great features. Vivoactive 3 is great to measure heart rate as it provides accurate information about the heart rate and helps you know how well your heart is actually functioning. 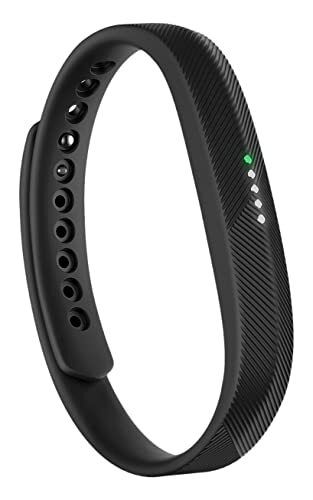 It is capable of keeping a tab on all your activities such as calories burned, floors climbed, distance, steps, jog, run, and it even tracks golf activity. It also tracks the sleep stages and how much time you spent on which stage; REM, light, and deep. It improves the quality of sleep. The Garmin Vivoactive 3 is swim-proof and waterproof. So, it keeps a tab on your swimming activity. On the display screen, you will see pace, length, stroke count, distance, and what stroke style you choose such as breaststroke, butterfly, freestyle, and backstroke. With the help of VO2 feature, the amount of oxygen you burn while workout will be measured. The battery life of the Garmin Vivoactive 3 is 7 days, but on GPS, it lasts 13 hours. 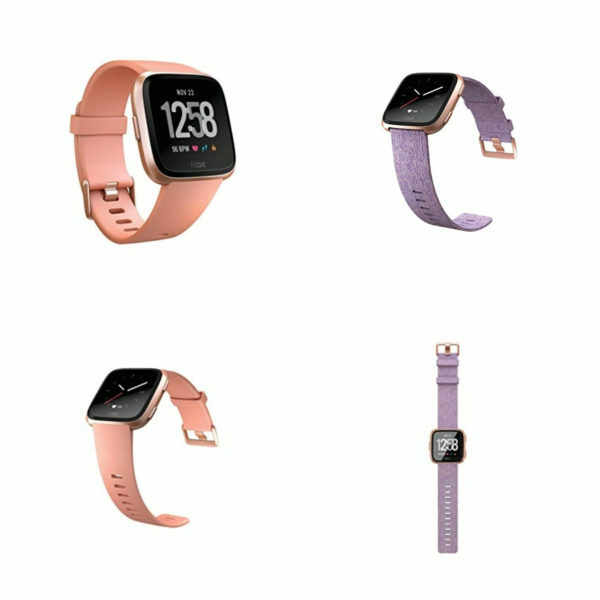 Fitbit Versa is definitely is one of the best waterproof Fitbit watches that have been popular among men and women. It has the capability to keep a tab on your continuous heart rate and that would not be possible without the PurePulse technology. It provides an update about the heart rate based on the pulse. 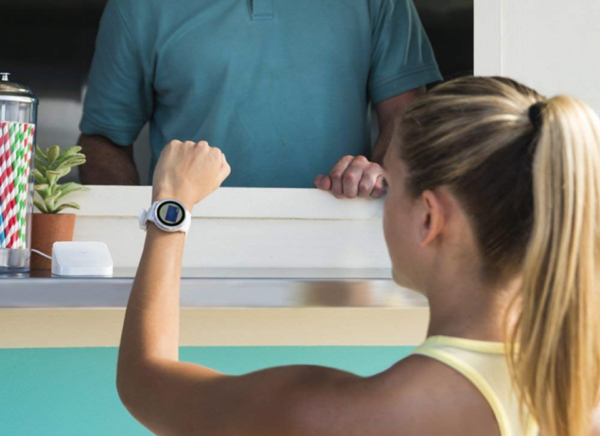 Fitbit Versa is also known for accurate activity tracking. It keeps a tab on all your activities such as calories burned, steps, distance, active minutes, and more. Sleep tracking is also a feature of Fitbit Versa that works really well. It tracks the sleep stages and records how much time you spent in deep, light, and REM sleep, which improves the quality of sleep and helps you get up in the morning with a silent alarm. Female health tracking feature makes it ideal for women as well. It tells everything about women’s health that they want to know, be it keeping a track of periods, ovulation, etc. Fitbit community also helps you get your questions answered. Swimming with your watch on is something most of the fitness enthusiasts want. Fitbit Versa allows the user to go swimming and also tracks the swimming activity as it is waterproof as well as swim-proof up to 50 meters. Moreover, Fitbit Versa has a battery life of 4 days. 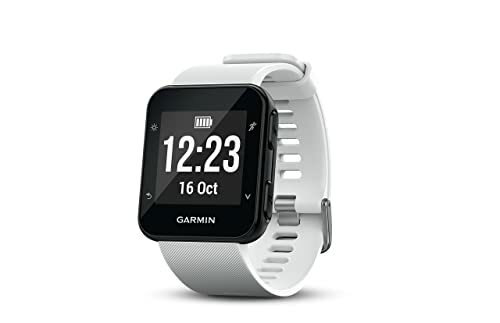 People who take part actively in running will surely get the most out of the Garmin Forerunner 35 as it is ideally designed for the heart rate 24 x 7 and also keeps a tab on all other activities such as calories, steps, active minutes, and aspects of running like distance and pace. This Garmin watch also tells you when you need to slow down or speed up while walking or running. The Forerunner 35 is one of the best fitness watches for women that have been doing really well. Plus, the sleek and stylish design makes it perfect for women who want to have a trendy looking watch. It has earned the title of Amazon’s choice watch just because it is made up of high-quality material that makes it durable, it has outstanding features, and the performance is superb. The Garmin Forerunner 35 is a lightweight watch, so there is no chance of getting marks on the wrist. This GPS enabled watch has a battery life of 9 days and 13 hours on GPS mode. Charge 3 is an advanced and upgraded watch of Fitbit, which is known for its features. It has a lot in store that a fitness fanatic needs. It tracks the continuous heart rate with the help of PurePulse technology and also understands the resting heart rate. 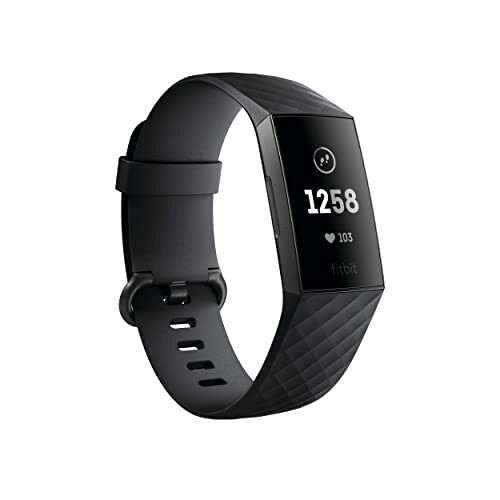 The Fitbit charge 3 accurately tracks all day activities such as floors climbed, calories burned, active minutes, distance, steps, and many more. It also tracks sleep stages such as REM, light, and deep. It keeps a tab on how much time you spent on what stage and wake you up with a silent alarm. Fitbit Charge 3 is waterproof as well as swim-proof up to 50 meters so you can go into the pool for swimming without worrying about your tracker. It keeps tracking your swim activity no matter how much time you spent in swimming. It has a guided breathing session feature that helps you calm your body down, which is necessary to stay fit. This function reduces the stress, anxiety, and blood pressure so you will stay fresh and happy. With the reminder to move mode, you will never forget that you need to move to stay fit as it keeps reminding you each hour to take 250 steps. Plus, Charge 3 has a good battery life that lasts for 7 days. Fitbit Flex 2 is ideal for tracking all day activities such as calories burned, steps taken, distance covered, and active minutes. All the fitness enthusiasts who are looking for a fitness tracker should consider it. Apart from keeping a tab on all your activities, it also tracks the sleep stages and informs you how much time you have spent on which stage; REM, light, and deep. It also wakes you up with a silent alarm. Sleep tracking feature improves the quality of sleep. 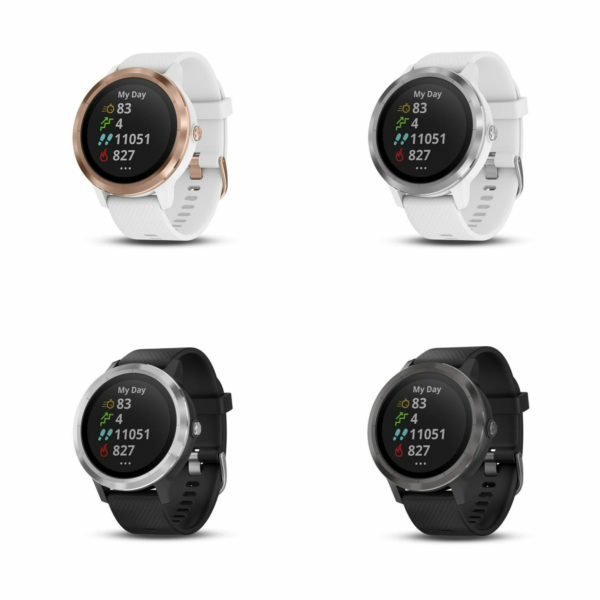 Flex 2 has a SmartTrack feature that makes it easy for the tracker to automatically recognize exercises such as running, walking, outdoor bike rides, aerobic workouts, elliptical, and sports like soccer, basketball, and tennis. This fitness tracker is waterproof as well as swim-proof up to 50 meters. It is also capable of counting laps. Fitness enthusiasts who have a passion for swimming and want this activity to be tracked found Flex 2 a useful device. It has a reminder to move mode that keeps reminding you to take 250 steps each hour so that you can easily reach your goal and move towards a healthy life. The battery life of Fitbit Flex 2 is 5 days. Fitness trackers keep a tab on all your activities that you took part in, be it taking steps, covering distance, burning calories, climbing floors, active minutes, and more. Even if you do not exercise much, you definitely take steps, cover some distance, and climb floors, and you definitely do not wish to get it wasted instead you want to track all these activities so that you know how much more you need to do to reach your goal. Other than that, fitness trackers track continuous heart rate and understand the resting heart rate. Some people love to swim and we all know swimming is itself an exercise that helps burn calories, so why not keep counting the time you spent on swimming. Fitness trackers not only work in daytime, but it also works when you are asleep to track your sleep stages such as REM, light, and deep. So, whatever you do throughout the day will get tracked and counted as a progress. To help you reach your goal, most of the fitness trackers feature reminder to move mode, which is there in your watch to keep reminding you that you need to take 250 steps each hour. With this simple step, you can eventually reach your goal without much effort. The best part of this reminder to move mode is that you can control this mode. It can be set according to your schedule and can be switched off. Apart from keeping a tab on your progress, fitness trackers have a guided breathing session feature that calms your body down, which is beneficial to get rid of stress, anxiety, high blood pressure. For all the tracking mentioned above, the trackers need to have a good battery life. Every fitness tracker has a different battery life, some are good enough for 7 days, and some have a battery life of 5 to 4 days. So, you keep using all the features and keep tracking your fitness level for roughly a week. In this article, we shed light on the best fitness watches and trackers for women. All the fitness watches/trackers mentioned in this article are good for many reasons. With the best fitness watches for women, you can easily get all your activities recorded. Plus, we have discussed a buying guide that is beneficial for all the beginners.